At the annual International Dance Music Awards show in Miami last night, Dutch DJ/producer Hardwell was awarded the IDMA for ‘Best Breakthrough DJ’. The young Dutch talent and label owner of Revealed Recordings has definitely made a mark with his DJ sets, productions and remixes. The 24-year-old talent is possibly one of the most successful producers/DJs of today and last year, he entered the DJ Mag Top 100 poll as the highest Dutchman, at number 24. 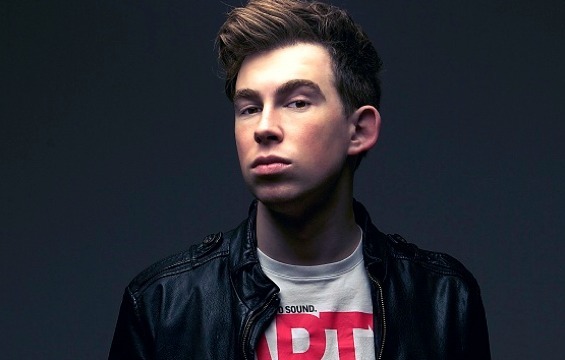 In the past two years, Hardwell has collaborated with the likes of Tiësto and Chuckie, as well as creating remixes for the likes of Taio Cruz, Armin van Buuren and Martin Solveig. His track ‘Cobra’ became the official theme of the massive ID&T event ‘Energy’. The next release on Revealed Recordings is Hardwell’s latest collaboration with Dannic, ‘Kontiki’. Tonight, he will land his own ‘Revealed’ label night at Miami’s ‘The Set’, followed by a performance at Ultra Music Festival’s main stage on Saturday. For more info, check www.djhardwell.com or www.facebook.com/djhardwell.